There was a wonderful tribute article to Delores Cannon that was posted on her blog. It's been a year since she's passed. I hope you will take the time to read it. The article is a short profile of her life and her work. She did so much to help open the minds of others. A true pioneer in every sense of the word. 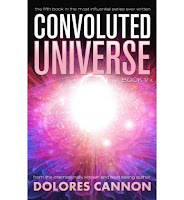 Ozark Mountain Publishing has just released her book Convoluted Universe 5 which she finished before she died. I will definitely be reading it soon. 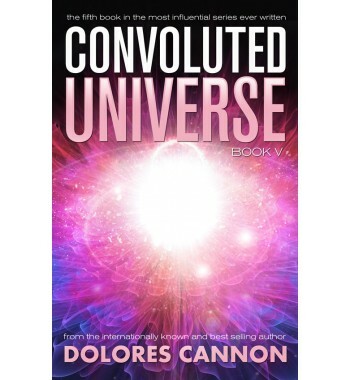 I'll never forget seeing Convoluted Universe 1 at the bookstore years ago. It practically jumped off the shelf at me. I could barely put it down once I began to read, and I devoured many, many more of her books after that. Once you become immersed in her work, I guarantee that you will never view life quite the same...no matter how 'enlightened' or open minded you believe yourself to be. Here's to you Delores. Thank you for everything!